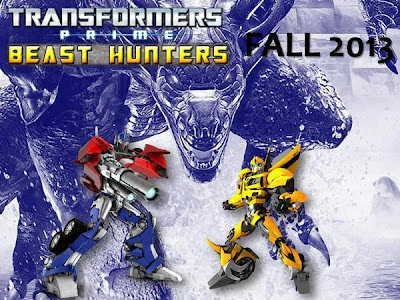 Transformers Live Action Movie Blog (TFLAMB): Transformers Prime - Beast Hunters? Transformers Prime - Beast Hunters? According to a document leaked to a TFW2005's Neo-Bombshell from Hasbro's South American operations, it looks like the Fall 2013 will bring us Transformers Prime Beast Hunters. As Seibertron found, Hasbro has filed for the trademark to "Beast Hunters" calling it "an on-oing animated television series for children" and IDing it for "toy action figures, toy vehicles and toy robots convertible into other visual toy forms." Back in 1999 the name Beast Hunters was the initial name for what became the Beast Machines cartoon series that followed after Beast Wars. The presentation image along with trademark information indicates that this will be used for Season 3 of TF: Prime and likely part of how the Dinobots will be added to the series cast. Also makes you wonder if and what aspects of Beast Wars/Machines might be incorporated into the Hasbro canon. 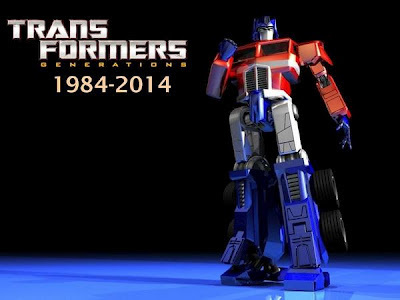 Other relevant information is Transformers: Generations will continue through to 2014 as a kind of mark of the 30th Anniversary of the series. Also Hasbro hopes to continue Transformers Prime and Rescue Bots going through at least 2015. Feel free to speculate in the comments what TF Prime combined with Beast Hunters mean.